The man known as the “dirty bomber”, Jose Padilla, got too soft of a sentence, the 11th Circuit Court of Appeals ruled Monday. The Associated Press reports that the appeals court vacated the 17-year sentence and ordered a new sentencing. 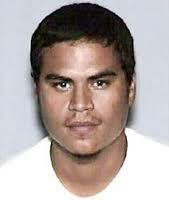 Padilla, a Muslim convert, was convicted in 2007 along with two co-conspirators of several terrorism-related charges. The ruling affirmed the convictions of Padilla, Adham Hassoun and Kifah Jayyousi on terrorism support and conspiracy charges, AP reported. Padilla was held as an enemy combatant for three years before he was prosecuted in Miami. He was first arrested in 2002 in the dirty bomb investigation. Posted: 9/19/11 at 1:46 PM under News Story.